In some ways, the rise of quality DAP has helped bring a bit of focus into the portable amping market. Used to be there was a ton of portable amps in every store and stacking was the way to go with an IC always to hand. That scene has long since diminished as the ‘buzz’ market, instead now it is all about integration with DAC’s, OTG and lightning capable amps from Oppo, Peachtree et al. If you are going to bring an analog amp to the market in 2016 and generate excitement you need to bring something new to the table or something DAPs and integrated DAC/amps simply cannot replicate. 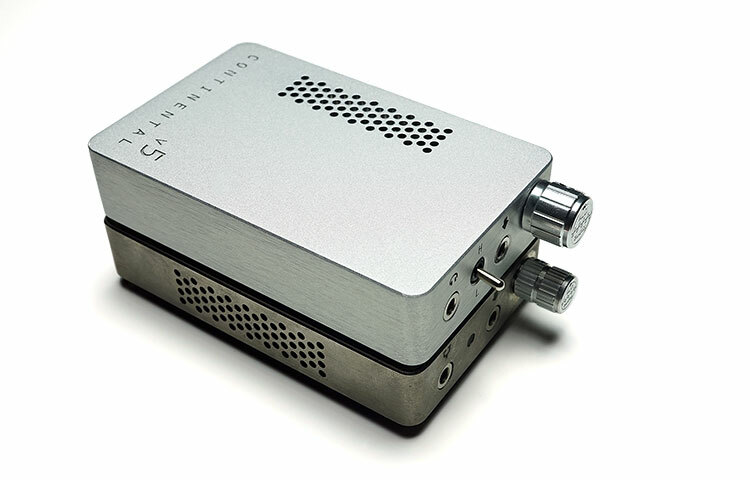 Cue ALO Audio and their new $799 Continental V5 portable tube amp. Yes, tubes, the one area DAPs etc cannot touch as of now and the one arena in which ALO Audio have a rich heritage and a strong following in. 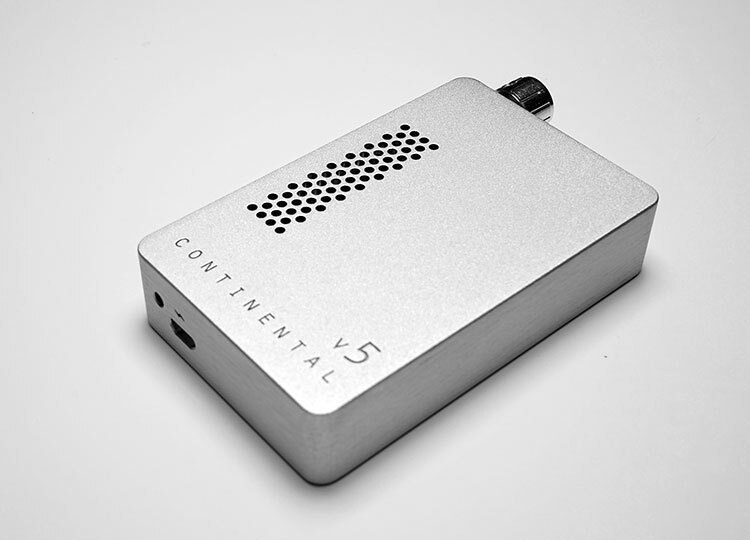 There have been other portable tube amps in the market from the likes of Fostex but none that evoke that analog “love-in” quite like the Continental brand. We have come a long way also from the V1 which shows that for ALO this is no passing fancy. The V5 is a collaboration between renowned tweaker and engineering specialist Vinnie Rossi of Red Wine fame and ALO Audio and it directly builds on the knowledge and experience of their time on the Continental Dual Mono in 2014-2015 (read V4). The CDM is still one of my favorite DAC/Amps on the market today so it is no surprise that ALO wanted to try and bring that success to the portable arena and roll out an “amp only” version of the CDM at a competitive price. Mind you the CDM is, in fact, a portable device in its own right but given the size, general levels of heat and the DAC duties it always felt more comfortable as a transportable desktop. The V5, on the other hand, is designed to run off one single dual triode amp which can run in stereo (handle both channels) as opposed to the CDM’s “dual mono” moniker of one tube per channel. Not only that but the tube is rollable so those wishing to change the “flavor” can do so with some tube rolling. It is also designed to run much cooler than the CDM making it very stackable and very portable in the hand. 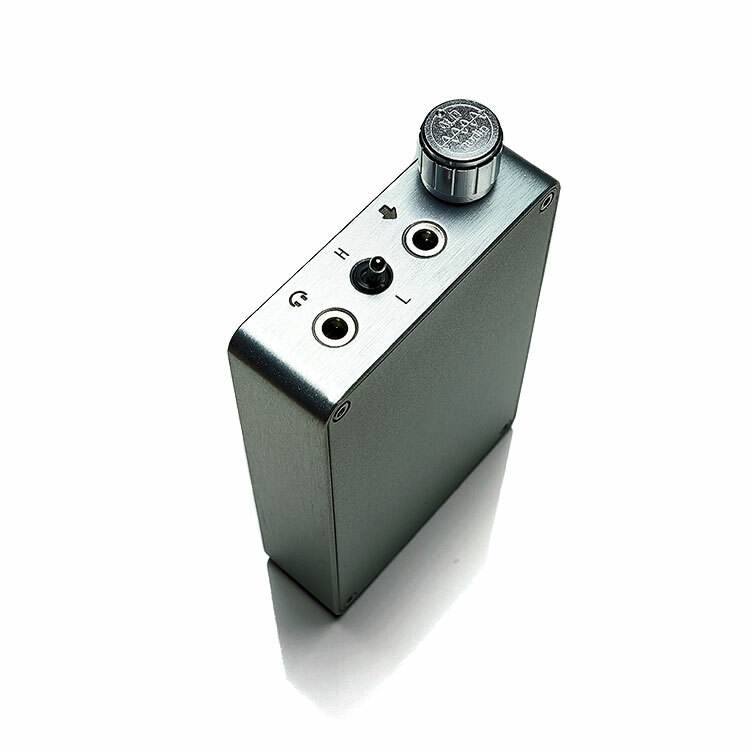 It is also very small indeed, only minutely larger than their excellent RX MK2 portable amp for IEMs in 2014. In some ways, the V5 is very much inspired by the new RX design. Also by opting not to include a DAC component, ALO were able to shrink the V5 down to a minute size, even compared to the old V1-3 editions the V5 is very small indeed. The final pitch is the power. The V5 has a 16-volt power supply capable of putting out a +/- 8-volt swing. That is even more output power than the CDM in balanced or unbalanced mode. ALO Audio state that the V5 can drive some serious cans with authority for a portable analog amp including LCD and Hifiman latest planar designs. Yet at the same time, the V5 yields very low noise & microphonics for a triode-based amp making it suitable for a wide range of IEMs. In short ALO Audio have produced what they feel is the best portable tube amp in market today and for those who want portable power with all the flavors a tube amp can bring to sonic reproduction whether on the go or on your desktop. There is now a definite design synergy between the CDM, RX, and the new V5. They have a harmonized look and feel with an aura that I would classify as mildly retro in appeal. It is unique to ALO also. Yes, you will get portable tube amp designs with the pattern venting which is essential for this type of creation, however, they look almost always very industrial and a touch bland. In fact, the V5 makes the V1 and V3 look big, bulky and bland also in comparison such is the advanced design of the V5. The V5 chassis was machined from a single block of aluminum with markings cut into the aluminum instead of the use of decals so the look will not fade over time or heavy usage, much like the RX. Unlike the RX, which used a nickel plated CNC’d aluminum enclosure for its build, the V5 aluminum should not “age” quite like the RX whose alloy tended to darken or go slightly orange with oxidization. I call it an amp with character to be honest and it looks quite charming but for those who disagree then the V5 build should be right up their street. Considering there is a 6111 tube inside the V5 I think they have done remarkably well getting the V5 dimensions to anything like the RX which is all solid state. There is a but a 3mm difference in height in favor of the RX. The RX measures 92mm x 59mm x 17mm compared to the V5 which is 92mm x 59mm x 20mm. These can be stacked and racked on top of each other quite easily and it also means it’s a beautiful match for the likes of the AK MK1 DAPs on top or below. The V5 does weigh a bit more than the RX though exactly how much in not clear as it is not included in the spec sheet but I would guess a good 50g more. To the rear of the V5, you will find, much like the RX a single micro USB port for charging (no DAC capability). 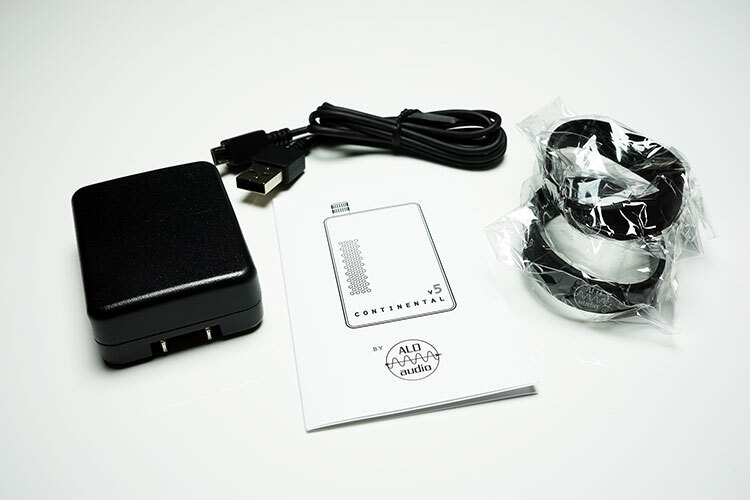 Now whilst the V5 does come with an AC charger in the box it is a welcome addition to be able to plug the V5 into either your laptop via a USB cable or the wall for charging purposes. The older V1-V3 amps came with hefty 9a AC chargers previously meaning additional luggage if you were planning on using the amp for more than around 8 hours a day. 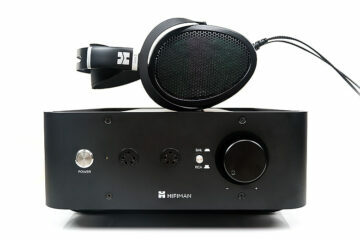 To the front, you have a traditional analog amp design with a 3.5mm headphone jack output to the far left and the line to the right beside the analog pot. Between the two I/O/s is the sturdy and very well machined gain switch with two settings, high and low. The potentiometer, much like the RX design, is the same durable low noise plastic type pot as the RX, with a resistance based on/off functionality also like the RX. All of the I/O’s have etched decals as mentioned before but I do want to point out that the headphone decal looks so much nicer and more accurate now on the V5 compared to the stethoscope design on the RX. The V5 is Class A tube stage is designed with a dual-triode tube setup. Dual triodes tubes handle both left and right channels rather than the CDM “dual mono” two tube design for each channel. This switch to a single tube design has a twofold advantage. First, there is less sap on the battery life so you have a choice what to do with the power, either increase the battery life more which would have been cool or the second advantage, increase the output power even more than possible whilst retaining a competitive battery life. ALO went for the power option, getting a more than satisfactory 325mW per channel, RMS into 32 ohms and still managed to keep battery life at a healthy 8 hours from a full charge. In the portable amping territory, especially for tubes, that’s not too bad. It’s not Picollo SS 20 hours plus but then the Picollo is not packing a Class A tube and an AB into their design. Charging is either through a USB socket on your PC (5v) or through the supplied wall socket. The preferred method for me is a PC USB socket though there may be a level of noise introduced into the signal if you attempt to listen and charge at the same time. The V5 is a hybrid design with a Class A input stage using a dual triode 300ma JAN Philips 6111 NOS (new old stock) tube at its heart feeding into an SS Class AB design output stage. Switch on the V5 and peer through the lattice venting design on the side panel and you will see the miniature tube start its familiar orange glow just above the blue LED. The tubes are mechanically soldered onto printed circuit boards to enhance isolation from pings and other sorts of nasty tube noises that creep into older designs. It should also offer an easy tube rolling process. The tube is designed to be rollable and there are plenty of 6111 tube varieties out there including Raytheon, Philips, GE, and Sylvania. Each one will give you a different type of performance and audio signature. 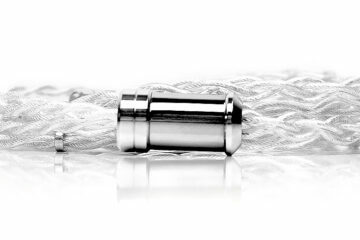 In Fact, ALO Audio are recommending a 400ma Raytheon 6832 tube as a solid upgrade. It’s a hot one so it wouldn’t work with the CDM but with the very cool running of the V5, it should pose no heating issues in this setup. You heard mention of a blue LED, that only turns on during the first 20 seconds. The reason being is that the V5 has a turn on delay built into its design. Once you hit 20 seconds that blue LED will turn off. This muted output is purposely done to allow the tubes to heat up to optimal levels before you start using the amp itself. Now optimal might mean more than 20 seconds for some but in theory, they are at least warm before you start using the amp. It also prevents “pops” when plugged in and turning on the amp which I get quite a lot from other cheaper build amps. Whilst you are unlikely to get a low a noise floor as the CDM or the RX, the Class AB SS output stage of the V5 is should be pretty efficient with good low noise performance and pair well with a wide range of IEMs as well give you excellent power for medium efficiency planars and dynamic headphones. In fact, Vinnie himself has freely admitted that the entire output stage has been beefed up considerably. If you note from our comment on the battery performance, there was that power advantage by going dual triode single tube instead of a dual tube such as the CDM. The V5 output power rating is 325 mW per channel, RMS into 32 ohms which is more than enough for most headphones on the market. The Class AB output stage will inject a little bit of solid state sensibility into the sound so it won’t come across as too mushy or romantic sounding. You should expect somewhere in between that rich sound of a classic tube signature combined with the lower distortion, tighter bass control, and enhanced detail of an SS amp. 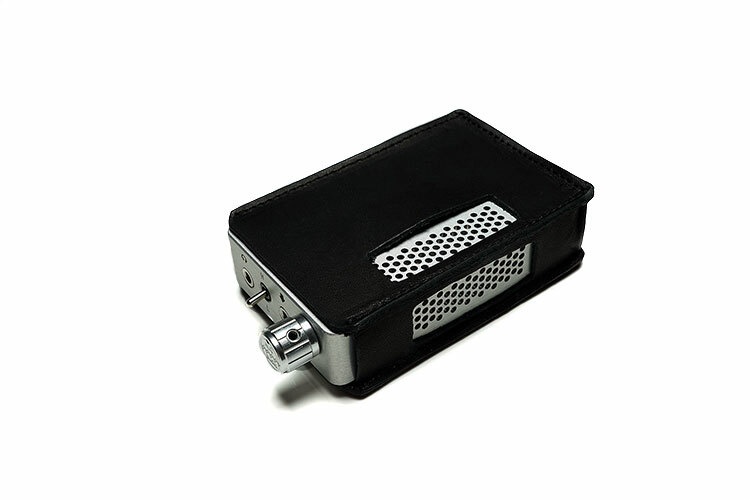 If you were lucky enough to get a pre-order in recently with the V5 you got a snug little leather case to go with it. It fits the V5 perfectly with gaps for both vents to breath and saves me the bother of putting any blister feet on the bottom to prevent from scrapes and bumps whilst stacking. The V5 does not run hot so the case will not diminish that capability in any way or burn after long periods of use. Outside of the case you get a fairly standard package with the V5 so sadly no Green Line USB cable of the likes that came with the RX amp. Considering the Green Line cable sells for $150 in its own right and we are talking about charging only it does seem a bit of a luxury that could not be absorbed into the final price of the V5. Fair enough, any USB cable will work and one does come supplied with the V5 along with a charger, one of those nice little nylon mesh carry bags, two rubber bands for stacking and a manual. A little late, but for the LCD-X, would you still recommend the Bakoon HPA-01M over the ALO Continental v5, or ALO CDM even w Mullard 6112? You described the HPA-01M as having “much stronger dynamics and impact”… I love the sound of tubes, but I do listen to Berlin style techno/deep house occasionally, so dynamics and impact are quite important to me. How about the Woo Audio WA8? Any thoughts on the new offering? Bakoon over the V5. I love the V5’s sweeter tones but as you said the Bakoon has the current mode tech which makes a big difference and still does to this day. I have not heard the WA8 but again if tubes I am expecting a smoother sound. I was testing some cans just last night on the Studio 6/V5 and I got the same impression as always, a relaxed beautiful listening session but if I want to go up a gear then I am on the Bakoon. Thanks a lot for the reply. It sounds as though the Bakoon HPA-01M are the ultimate LCD-X transportable/portable amp for you. Are there any other offerings in the portable/transportable amp category that could perhaps be even more superlative to the HPA-01M? Maybe smth in your radar you haven’t had the chance to test yet? I have a soft spot for the Vorzuge DuoAmp I and about to sit down and review the new 2 in the coming weeks. Had my portable amp of the year a few years back, will be interested to see if it can do so again with planars. Not sure on power but tonality should be a home run. Looking forward to it. I found your website really useful in helping me get my feet back in the audio game after a many absent years. Much appreciated! Welcome, glad we could help! Hey! What about pairings with some iems like Noble Savanna? Would it hiss too much? THANK YOU! Most IEMs will have a small amount of hiss, its just the nature of the tubes and analog amp setup, it will never be perfectly quiet unless you dramatically up the ohmage and power in your headphone or earphone.